This property will be sold via public auction on Thursday April 26th at 6:00pm. 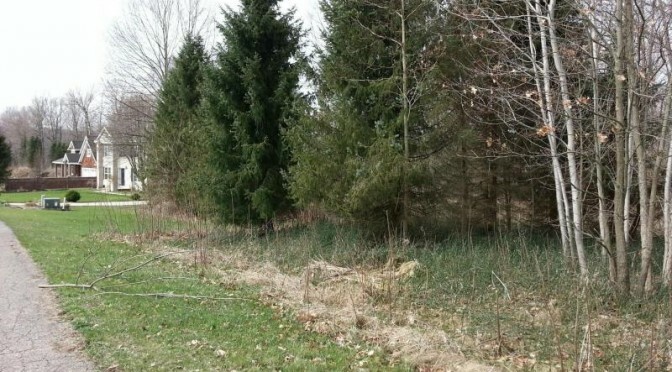 This property features a 0.628 acre lot. Auction Terms:A 10% buyer’s premium will be added to the final bid of the real estate transaction. $5,000 non-refundable deposit due on sale. Balance paid in full within 45 days. Purchaser must sign sales agreement day of sale. This real estate sold ”as is” with no contingencies. Real estate sold by legal description. Seller to furnish title insurance and warranty deed. Property sold free and clear of all liens, encumbrances, and back taxes, if any. Taxes will be pro-rated to the day of closing on a due date basis. Property is sold subject to confirmation of the seller. Lot 8 is a beautiful wooded lot with exclusive golf and woods view. Lot 8 is a beautiful wooded lot with exclusive golf and woods view on quiet tree lined drive and situated amoung quality homes w/view in back of woods and mature trees. Only 3 minutes to Otsego, 7 miles to 131 and a short drive to Allegan. Amazing views of rolling hills and golf course across the street. Walk right out to golf or drive to cart path just a few feet away from your property. Woods in back are great for, nature walks, hunting and wildlife. Lots of bird watching, wild turkeys and nature all around all while having most any convenience you need on M-89. The Lynx golf course has a beautiful clubhouse and restaurant and can handle banquets or meetings and is only a couple minute drive away. Lot has Natural Gas, Electric, Cable & Phone and is ready for your dream home.